Posted on 22, February 2016 by EuropaWire PR Editors | This entry was posted in Austria, Belgium, Chemicals, Industrial and tagged KetaSpire®, PEEK, polyetheretherketone, polymer food contact (FC) grades, Solvay Specialty Polymers, Zell-Metall GmbH, Zellamid® 1500 PEEK. Bookmark the permalink. ALPHARETTA, Ga., 22-Feb-2016 — /EuropaWire/ — With the addition of Solvay Specialty Polymers’ KetaSpire® polyetheretherketone (PEEK) polymer food contact (FC) grades, which meet both U.S. Food & Drug Administration (FDA) and EU Commission 10/2011 regulations, Austria-based Zell-Metall GmbH, a manufacturer of extruded engineering plastic and high performance polymer stock shapes, has enhanced its Zellamid® 1500 PEEK product line and now offers customers further distinct performance advantages when compared to standard PEEK products. Not all commercial PEEK products deliver the same level of performance. Depending on the grade, KetaSpire® PEEK offers better fatigue resistance, 20 percent higher impact strength and up to 60 percent higher ductility. A high-purity polymer, KetaSpire® PEEK retains its excellent mechanical properties at continuous-use temperatures up to 120°C (248°F). Zell-Metall’s new Zellamid® 1500 X food contact product, based on Solvay’s KetaSpire® PEEK, is available in 30 percent glass filled natural and black grades, carbon-fiber reinforced grades and is commercially available globally. 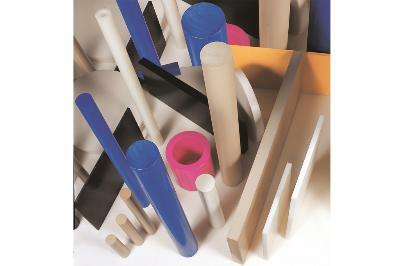 The core business of Zell-Metall is the manufacturing of extruded stock shapes (rods, sheets and tubes) and the machining of semi-finished and finished components made from various formulations of nylons (PA 6, PA 6.6, PA 12, cast nylon), acetals (polyoxymethylene – POM), thermoplastic polyester based on copolymer terephtalate (PET) and high performance materials. In addition to KetaSpire® PEEK, Solvay’s portfolio of solutions for food processing and household appliance applications includes AvaSpire® polyaryletherketone (PAEK) for components intended for repeated use in contact with all types of food; Amodel® polyphthalamide (PPA) for high-heat, creep-resistant components used to replace die-cast metals, zinc, brass, and lower performing thermoplastics; Ixef® polyarylamide (PARA) polymers for applications that require overall strength and excellent aesthetics, such as decorative handles, buttons, and housings as well as high-strength gears and mechanical parts; Ryton® polyphenylenesulfide (PPS) for exceptional chemical and heat resistance along with dimensional stability; Radel® polyphenylsulfone (PPSU), a super-tough, transparent, high-heat alternative to glass; Veradel® polyethersulfone (PESU), which combines good chemical resistance with high heat resistance; and Solef® polyvinylidene fluoride (PVDF), a polymer with exceptional chemical resistance that is widely used for fittings, pipes and tubes in the food industry. ® Zellamid is a registered trademark of ZELL-METALL Ges.m.b.H. Engineering Plastics. For nearly 60 years the production of our products has been carried out with the highest precision on the most modern extrusion lines, all designed for high-quality and low stress materials. The raw material used is supplied by the world’s leading producers and quality is constantly monitored. Zell-Metall Ges.m.b.H. Engineering Plastics’ core business is manufacturing engineering plastic stock shapes (extrusion method) made from various formulations of Nylons (PA 6), Acetals (POM), PET, PEEK and HPMs. Solvay Specialty Polymers manufactures over 1500 products across 35 brands of high-performance polymers – fluoropolymers, fluoroelastomers, fluorinated fluids, semi-aromatic polyamides, sulfone polymers, aromatic ultra-high performance polymers, high‑barrier polymers and cross-linked high-performance compounds – for use in Aerospace, Alternative Energy, Automotive, Healthcare, Membranes, Oil and Gas, Packaging, Plumbing, Semiconductors, Wire and Cable, and other industries. Learn more at www.solvayspecialtypolymers.com. An international chemical and advanced materials company, Solvay assists its customers in innovating, developing and delivering high-value, sustainable products and solutions which consume less energy and reduce CO2 emissions, optimize the use of resources and improve the quality of life. Solvay serves diversified global end markets, including automotive and aerospace, consumer goods and healthcare, energy and environment, electricity and electronics, building and construction as well as industrial applications. Solvay is headquartered in Brussels with about 30,000 employees spread across 53 countries. In 2014, the company posted pro forma net sales of close to € 12 billion, 90% of which was generated from activities where it ranks among the world’s top 3 players. Solvay SA (SOLB.BE) is listed on EURONEXT in Brussels and Paris (Bloomberg: SOLB:BB – Reuters: SOLB.BR).